Inbound marketing sounds like a dream come true. Simply by consistently sharing and promoting interesting content, people will engage, interact and become qualified leads. The sales team then makes contact with those leads and are warmly received and deals are closed. Or, something like that. All of the data supports this scenario as being the standard, and for the most part, it is. 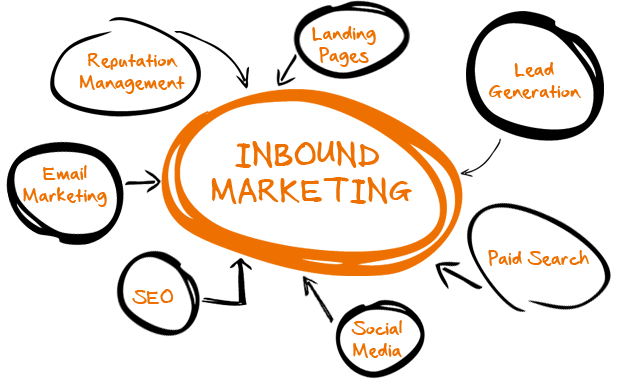 Inbound marketing is essential to increasing lead generation and ROI while decreasing the costs per lead. As a matter of fact, inbound marketing has been the most effective method for online businesses to reach potential customers for more than ten years. It used to be that a company purchased ads and email lists and hoped that customers would come to them. Now, inbound marketing works to send out quality content that engages, entertains, or educates people and then pulls them towards a product or service. As people consume the content sent out through inbound marketing they are naturally aligning with a brand and soon that company becomes their chosen resource. Content creation and distribution. Content that is targeted to answer the questions and needs of prospects and is then shared. Lifecycle marketing. Using specific marketing actions to inspire people to promote and share a product or service. Personalization. Content and communications that tailored to the needs and wants of viewers. Continue to narrow the scope as you learn more about your target audience. Integration. Analytics tools provide the information necessary to create and publish the right content to the right place at the right time. Through all of these methods, inbound marketing increases the number of qualified leads received by a company. However, it does not guarantee that those leads are ‘sales ready’. In fact, it is estimated that up to 80% of the leads created by inbound marketing are a result of someone looking for information –not because they were looking to make a purchase. So, how does a marketing generated lead become a sales qualified lead? Sales development is the answer. Sales development is the process by which leads that are generated through inbound marketing efforts are qualified before they are passed to the sales team. Quality and consistent follow-up on leads. With the money and effort that is put into inbound marketing efforts, qualified leads need dedicated attention to make sure they are a good fit and to get them connected to the right sales team. Companies with a sales development process in place convert eight times more leads than those without. Faster response time. When you receive a question or message of interest from a lead via your website, the quicker someone responds the better. In fact, if you respond within five minutes you are four times more likely to qualify that lead than if you responded in ten minutes. Having a sales development process in place means that someone is always checking and responding to lead inquiries. Better use of resources. Your sales team is good at making sales, if they are using time educating or qualifying marketing generated leads – they are not selling. Sales development ensures that all of the preliminary work has been done and when a lead lands on the sales team’s desk – that lead is educated, informed, and ready to go. Promoting from within. Often, a sales development representative will make the perfect sales team addition because they know the business and they know how to connect with the customers. You can save money on recruiting efforts by promoting a sales development representative. We all know that sales and marketing rely on one another for success. But, sales development and inbound marketing perform at their best when they work off of one another to close the sales and marketing loop, ultimately increasing revenue.